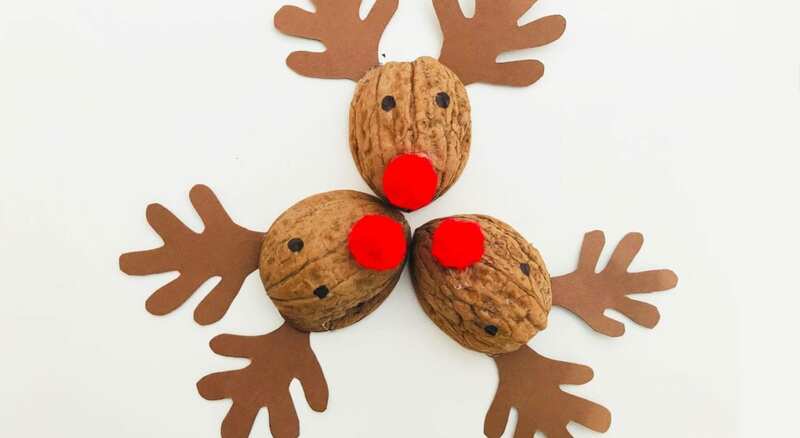 This walnut Rudolph is a beautiful way to enjoy a Christmas activity, while also making great decorations. 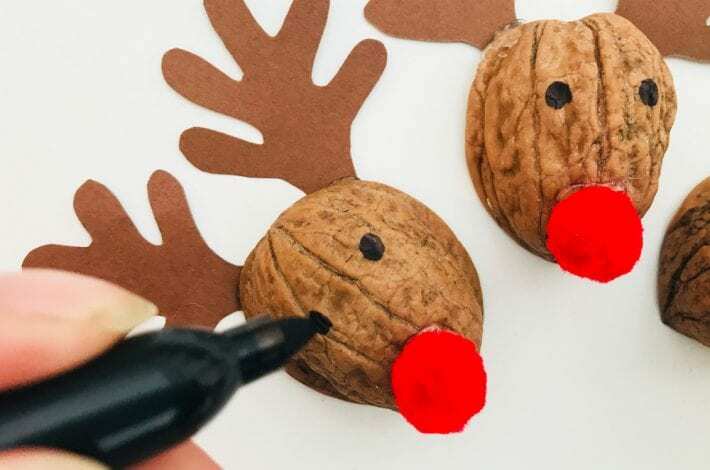 In just a few minutes your child can transform a walnut shell into an adorable little Rudolph the reindeer decoration. You can add hangers to turn these into great Christmas tree decorations. You could also hang a whole line of them on a length of ribbon to make beautiful bunting. 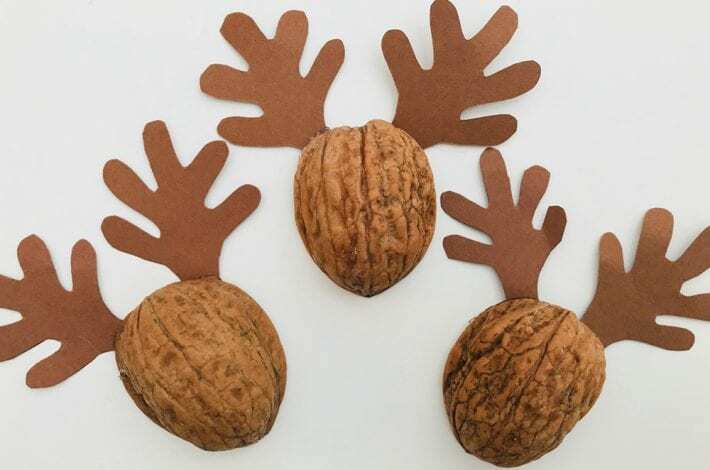 Carefully crack open some walnuts. You do need to keep both sides of the walnut shell intact so take care. 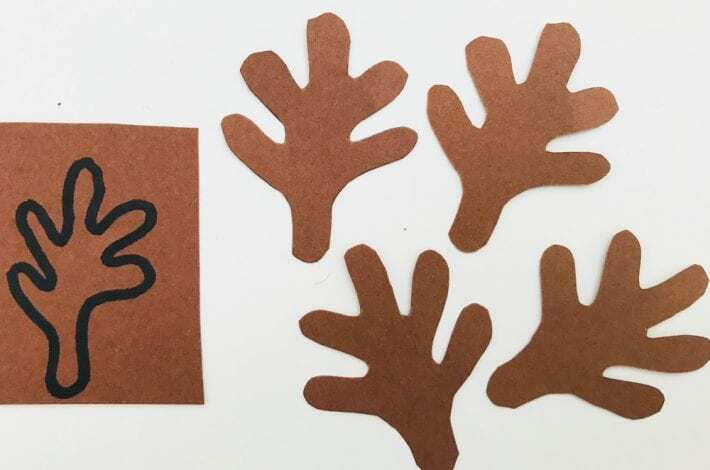 Draw antler shapes on your card or felt and carefully cut them out. 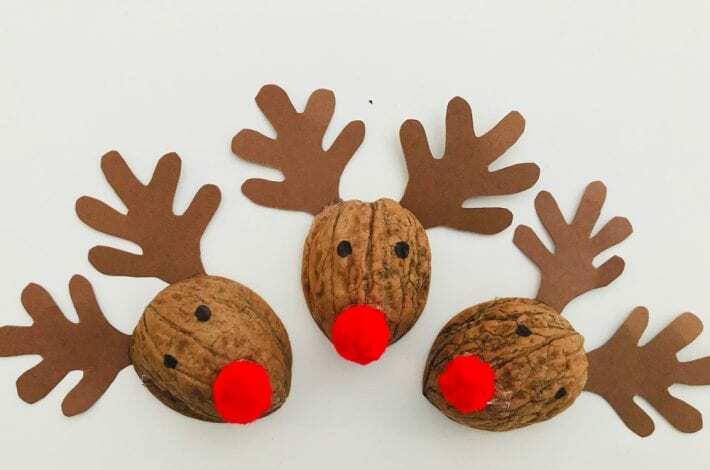 Glue the reindeer’s antlers to the back of your walnut shell. 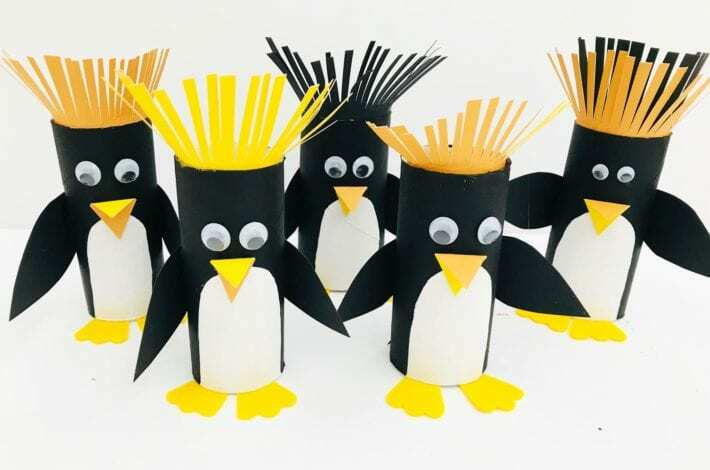 You an use PVA glue or a glue gun. 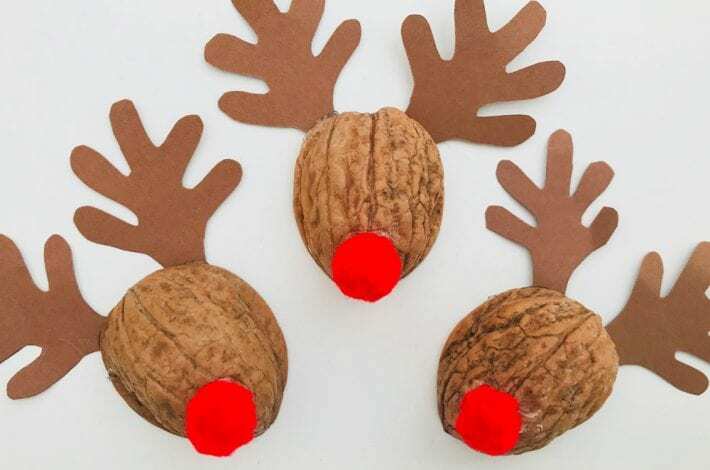 Glue a little red pom pom onto the front of your nut shell to make Rudolph’s nose. Your walnut Rudolph is nearly complete but he needs some eyes. 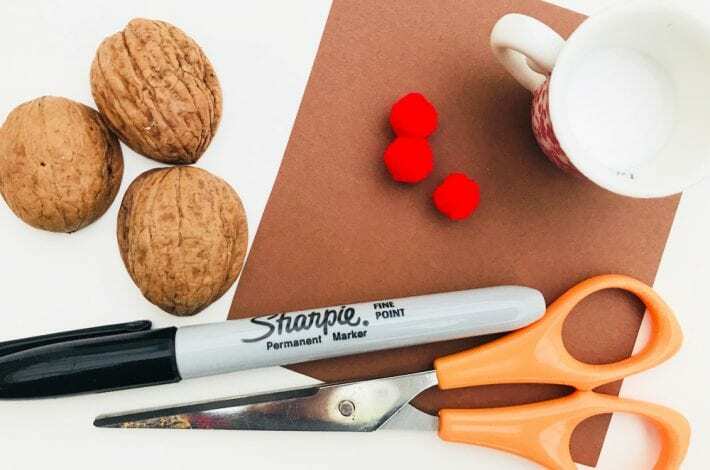 Use a Sharpie to draw dots for the eyes onto the nut shell. Step 5: Why not make a whole host of little deer? 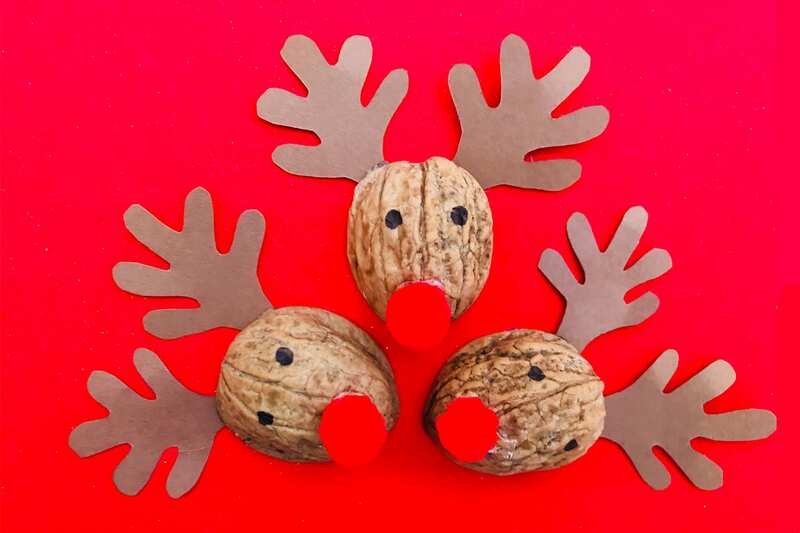 These little Rudolphs are so quick and easy to make that you could make a whole heap of them. You could glue on ribbon or twine to hang them from the Christmas tree. Or you could hang them in a line on a piece of ribbon as pretty bunting. 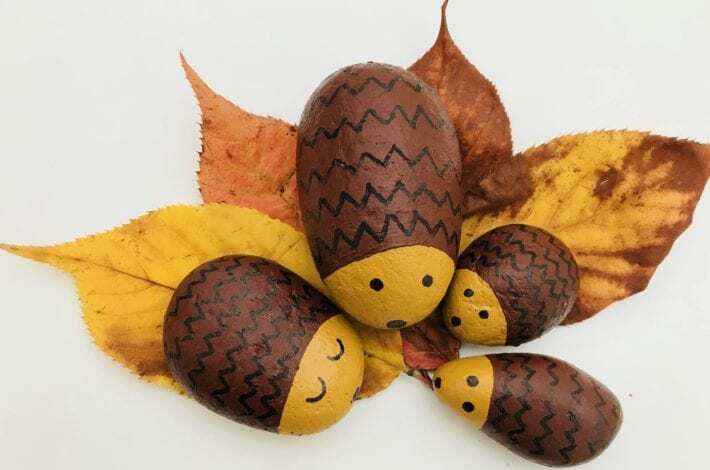 They would also make lovely gifts for your child to give to friends and family. 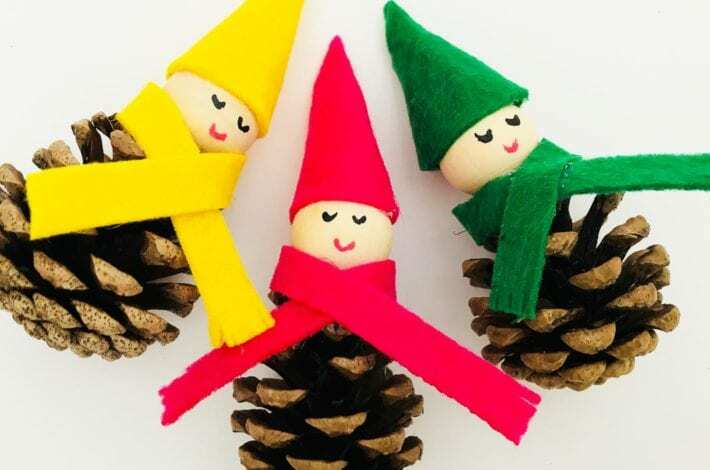 Check out are little Pine cone elves for more beautiful Christmas crafts.